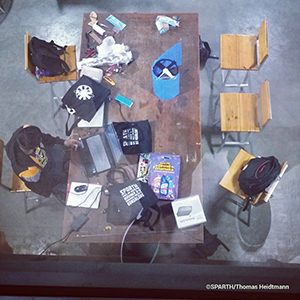 Thomas Heidtmann is a media artist whose quest involves material for satellite-inspired interactive objects that communicate with each other and the visitor in an exhibition setup, using light, sound, sensors, projections, and augmented reality. In Bangalore he also plans to organise a space-art hackathon: SPARTH. Thomas Heidtmann is a media artist, formally educated at the Berlin University of the Arts with an emphasis on painting and new media. In his recent works, he examines forms and expressions of exploration, collaboration, and communication. He is fascinated by space technologies, mirrors, and questions of visibility and observation. Heidtmann combines traditional aesthetics, materials, and techniques with new technologies such as 3D-printing to create installations and objects that are often interactive and engaging. The interactions vary from the more obvious to the arcane. He builds ephemeral solutions for site-specific requirements, as well as autonomous pieces. 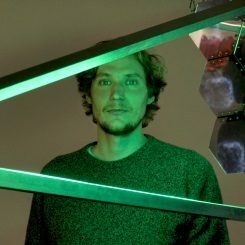 He is co-founder and board member of Lacuna Lab e.V., an artist-run association, collaborative community, and space in Kreuzberg, Berlin, working at the intersection of arts, science, and technology. He also is co-organiser of Science Hack Day Berlin. His works were presented among others at ISEA in Hong Kong, Vorspiel / transmediale & CTM and Retune Festival Berlin. He was involved in projects at Nationalgalerie im Hamburger Bahnhof, Museum für Gegenwart – Berlin and Fundació Joan Miró in Barcelona, Spain, and has lectured, at Martin-Gropius-Bau Berlin, among others. The eight-week long bangaloREsidency at Srishti Institute of Art, Design and Technology, starting from September 3rd, is the initial phase of the long-term project PLACE IN ORBIT*. For the next two years, it will unite investigative artistic practices and modern collaboration processes with space exploration and technologies. It is an examination of the unique methods, shapes, and tools of our time that occurred with the invention of space rockets and satellites. 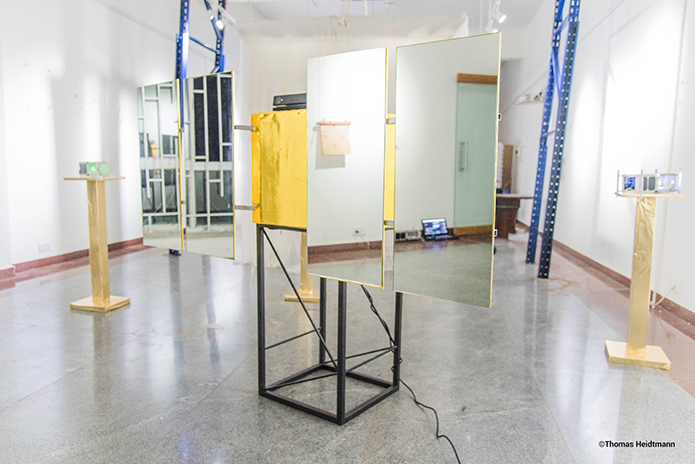 For his artistic research during the bangaloREsidency of the Goethe-Institut / Max Mueller Bhavan, Thomas Heidtmann plans to visit the space science facilities located around Bangalore. 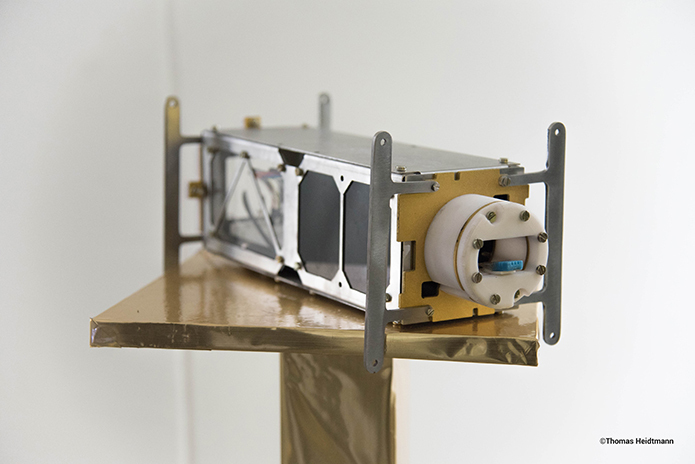 He wants to study materials, shapes, and processes used in the production and development of space satellites. Additionally, he will interview engineers, scientists and other people working for the Indian space industry to learn more about the specific characteristics of the Indian approach to space exploration. 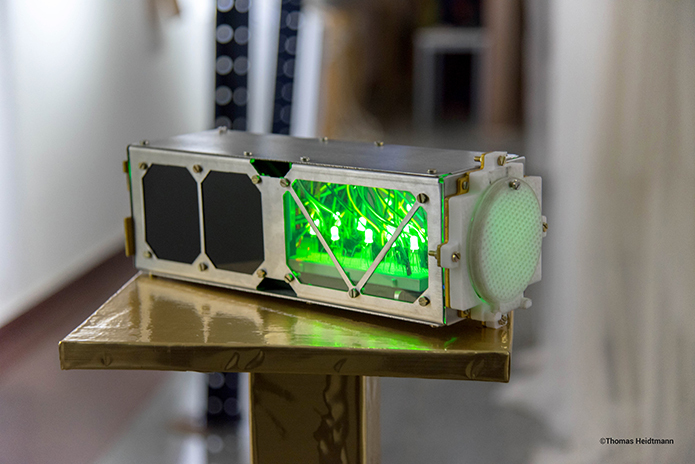 The aim is to collect material for satellite-inspired interactive objects that communicate with each other and the visitor in an exhibition setup, using light, sound, sensors, projections, and augmented reality. My first thought when I think of India is: Everything is "over the top"! If you haven't been there yourself, it's hard to understand and it can't be described just like that. The weather, the traffic, the mass of people, the food, everything is strenuous and fascinating at the same time. Although I was already in some Asian countries and metropolises, I did not find India comparable. It's like the tip of the iceberg! My feelings could change daily: from total enthusiasm to frustration and being totally against everything and back again. This remained so until the end of my nearly four-month stay. Nevertheless, or just because of that I have built up a strong bond in my time in Bangalore and am glad that I had the opportunity to be there. After the orientation week in which parts of the cultural scene and urban features of Bangalore were introduced to us by the Goethe-Institut / Max Mueller Bhavan Bangalore and we got to know our hosts – in my case the Srishti Institute of Art, Design and Technology – the first phase of my stay in India began with the bangaloREsidency 2017. I quickly realized that my project was not feasible in its originally planned form. On the one hand, getting used to life in Bangalore took longer than I would have thought, on the other hand, it was too extensive for the duration of the residency. Luckily for me, I then had another residency in the form of the one-month Srishtinterim 2017, which allowed me to divide up and reschedule my activities. That is also my second important conclusion from India: Flexibility is an absolute must here! Very few things go as planned. But in the end, everything works somehow. 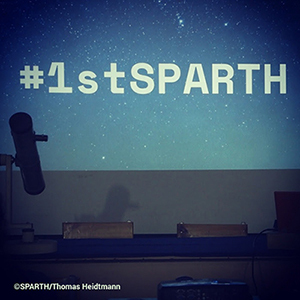 Therefore, during the bangaloREsidency, I focused almost exclusively on the organization, planning and implementation of the Space Art Hackathons SPARTH. 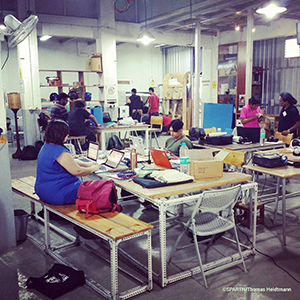 After it turned out that the Srishti Institute was not appropriate as the venue for the event, I found a more suitable replacement in Workbench Projects, a Makerspace under the Halasuru Metro Station, through mediation by the Goethe-Institut. I didn't have an intensive exchange with my host at that time since I was on the road a lot and my activities were no longer in direct contact with the Srishti Institute. It was also situated at a distance from my apartment in Malleshwaram, and there was no need for me to go there too often, so I was there a maximum of twice a week. After a ten-day stay in Goa, where I was invited to give a talk and a workshop at The Story of Space Festival, I returned to Bangalore. Here I worked with a group of 15 students at the Srishtinterim 2017 to realize my artistic project Place in Orbit* – PSLV-C37, with which I applied for the bangaloREsidency. This project was then shown in the frame of the Bengaluru Fantastic 2017 Festival, a first-time media art biennial at the Rangoli Metro Art Center, one of the central venues for cultural events in Bangalore, organized by Jaaga in collaboration with the Srishti Institute. The students were very motivated and collaborated intensively, even though there was sometimes a lack of basic principles, such as an independent, systematic way of working. In general, there is also a different understanding of liabilities and timing. Things usually happen in a last-minute (group) effort or sometimes not at all, although promised otherwise. This is not limited to students but is a widespread phenomenon. Ultimately, I have adapted to this situation and, for example, I have largely dispensed with extensive e-mails as the mode of communication and dealt with much of the organization by telephone and/or face-to-face. Many thanks to Meena Vari, Syed Gowhar Andrabi and all the students of the Srishti Institute who helped with the realization of the project, to Yashas Shetty, Padmini Ray Murray, Sai Krishna, Agustina Palermo and all participants of the Hackathon, especially Bidisha Das, for the musical support of the documentary video, and also to Kunal Deshpande, Aliasger Dhariwala, Siddanth Shetty, Peter Kolski, Archana Prasad and Kamya Ramachandran, as well as to the team of the Goethe-Institut / Max Mueller Bhavan Bangalore.